Russian Ropucha class landing ship Yamal heading to the Mediterranean. Photo: Alper Böler. Ropucha class landing ship Minsk heading to the Mediterranean. Photo: Yörük Işık. 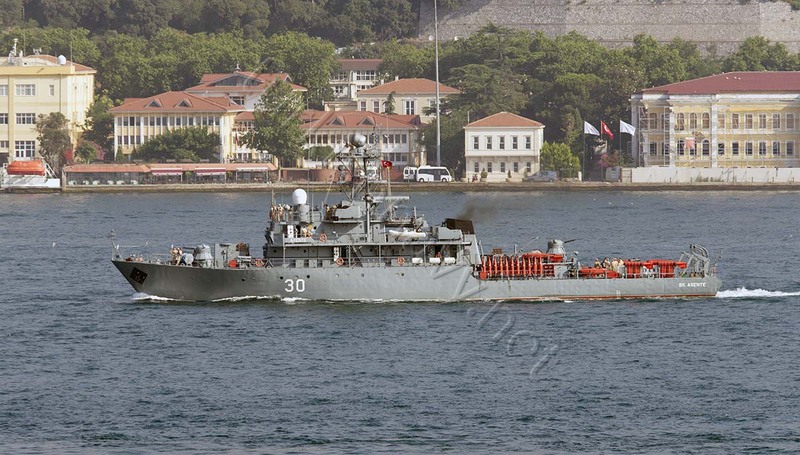 Romanian mine sweeper Sub Lieutenant Alexandru Axente passed Bosphorus northbound as part of NATO SNMCMG-2. Photo: Yörük Işık. Greek fast attack craft HS Ypoploiarchos Grigoropoulos passed Istanbul to take part in Breeze 2016 naval exercise in Bulgaria. Photo: Yörük Işık. 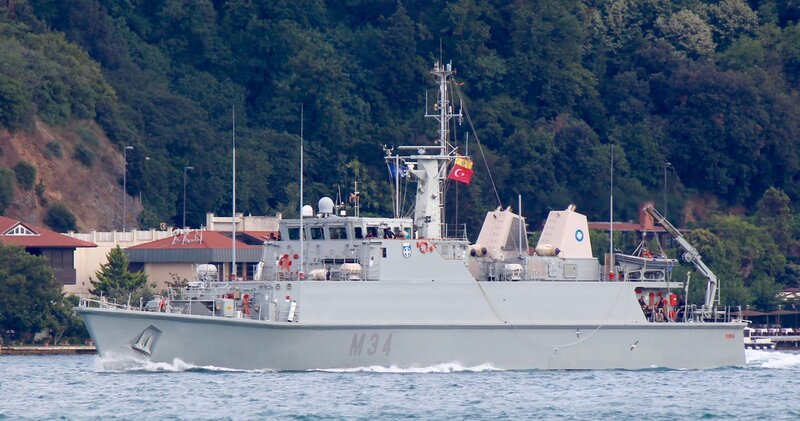 Spanish mine hunter SPS Turia passed Bosphorus northbound as part of NATO SNMCMG-2. Photo: Yörük Işık. Frigate Pytlivy headed back to her home base. Photo: Yörük Işık. The buoy tender KIL-158 returned from her Mediterranean deployment Photo: Yörük Işık. Romanian mine sweeper Sub Lieutenant Alexandru Axente made a southbound passage through Istanbul one week before returning back to the Black Sea. as part of NATO SNMCMG-2. 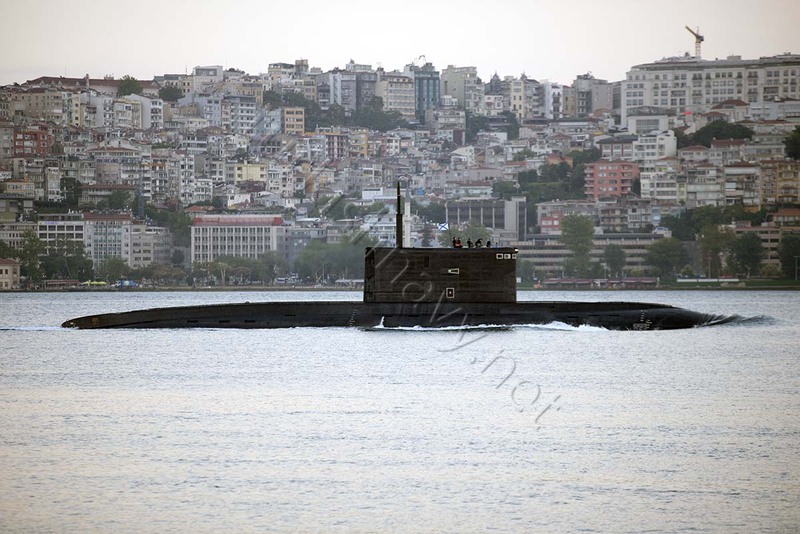 The third Russian improved Kilo class submarine Stary Oskol made her inaugural passage to the Black Sea. 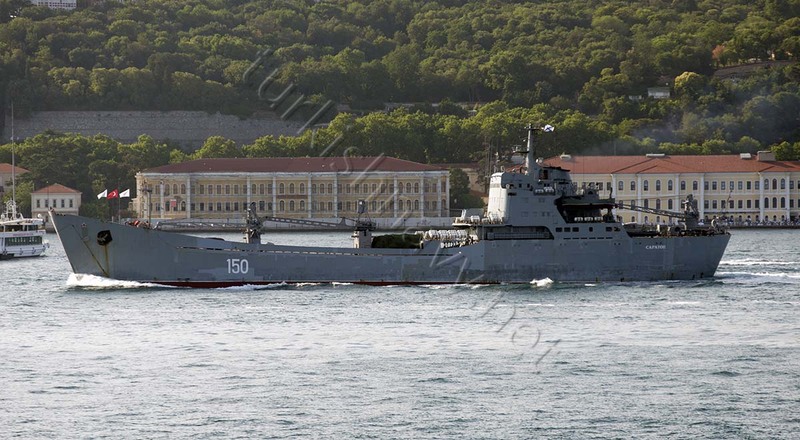 Landing ship Saratov made a Syrian deployment with a presumably military truck on her deck. Azov returned from her Syrian deployment in late June. Photo: Yörük Işık.